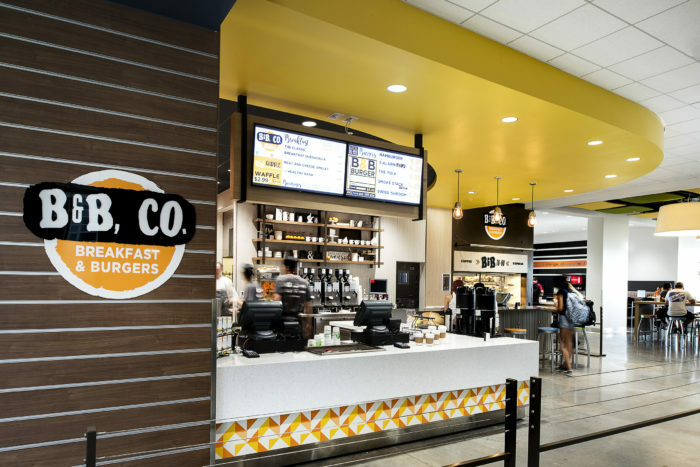 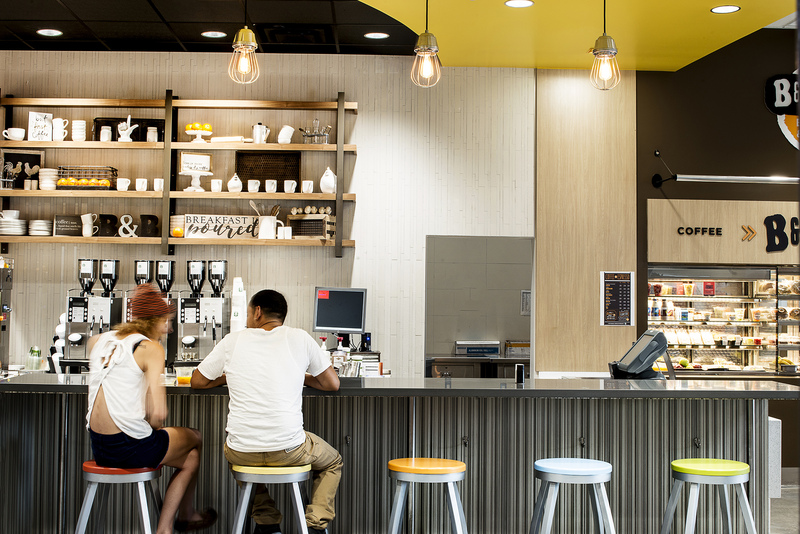 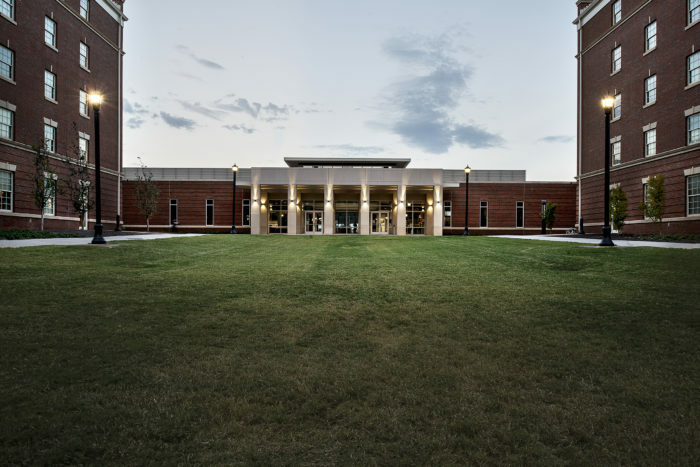 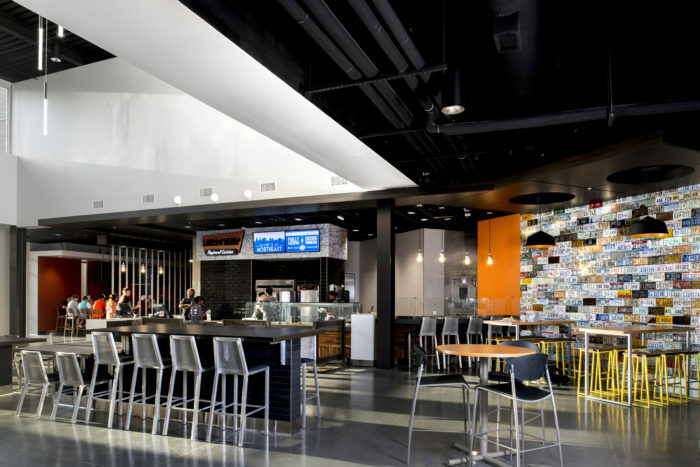 Constructed adjacent to Oklahoma State University’s new University Commons, the North Dining Hall is a light-filled hub for student community. 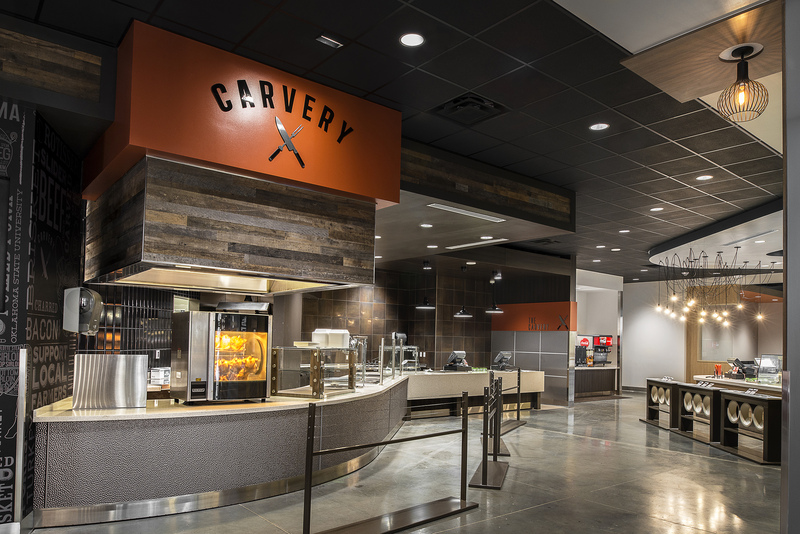 Featuring six “mini restaurant” venues plus a movable demonstration venue where the chef can host cooking classes, the facility serves a variety of menu options for the modern millennial palate, including a meat carvery, noodle bar, Mediterranean, 24/7 breakfast, regional and allergen-free, which is completely enclosed in glass with a serving window to ensure students with food allergy needs are accommodated. The building also features a large production kitchen with state-of-the-art kitchen equipment as well as a bakery prep area for the 24/7 breakfast venue. 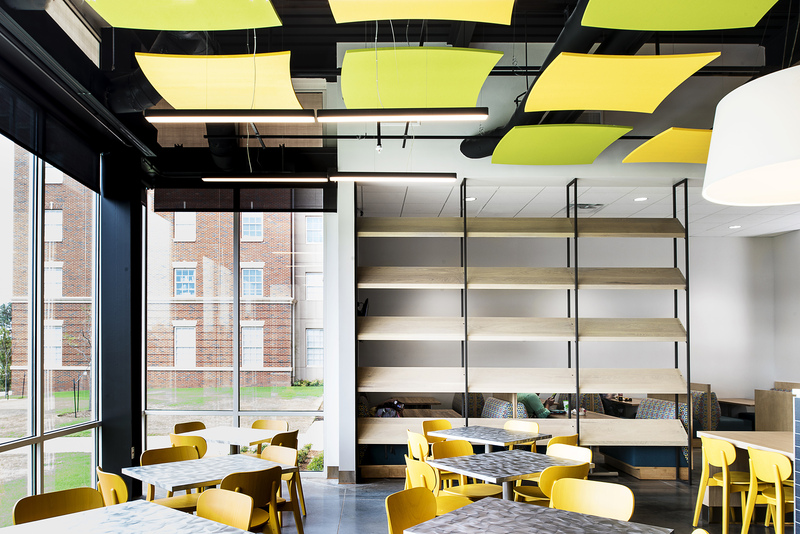 The open concept dining hall features 17’ open structure ceilings and accommodates more than 500 in variety of seating arrangements such as banquettes, bar-height tables and community tables made from retro-style prep tables repurposed from other kitchens across campus. 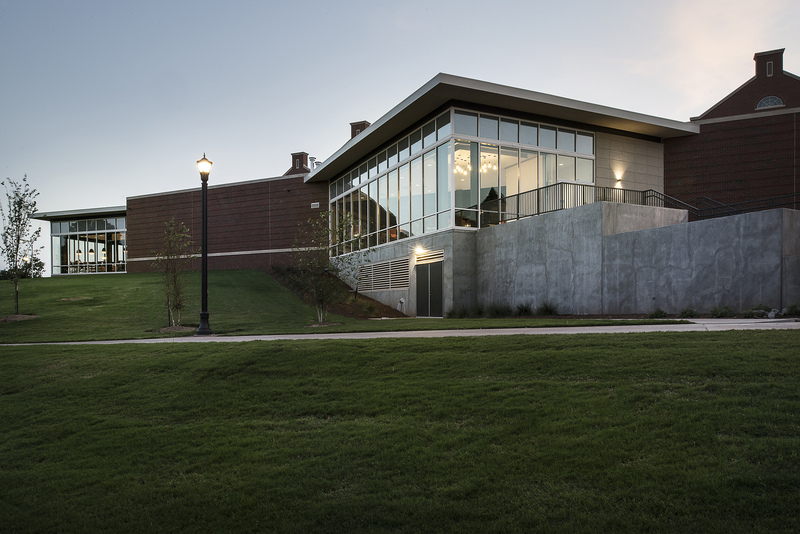 A key design feature is the two double-volume, glass encased “lanterns” on the north and southeast corners of the building where students can hang out and enjoy views of the nearby football stadium. 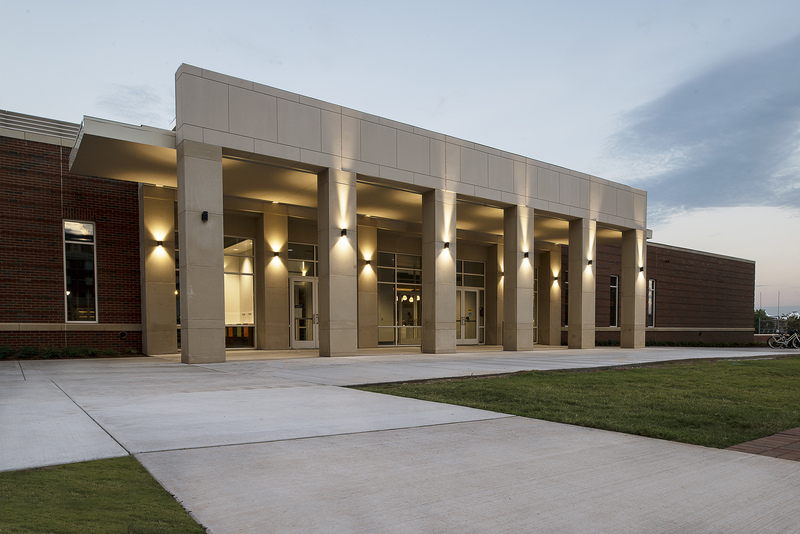 The structure includes a partial basement, which is to be used as a tornado shelter using ICC 500 high-wind event loading criteria.